Newborns need very little aside from sleep, food, and time with their parents. Children in this age group don't need toys, and they're easily overstimulated by light, sound, or movement. The best gifts for newborns provide comfort, safety, and convenience. In addition to the listed items below, gifts of time are often welcome in the form of meals, errands, grocery delivery, or a paid cleaning service. For this age group, avoid gifting toys in general, or anything with potentially overstimulating light, sounds, or textures, and products that rock, shake, or swing the baby. Also avoid gifts that impose lifestyle choices (like conventional vs. cloth diapers) unless the recipient has specifically asked for them. By far, our favorite gift for newborns is a topponcino. Babies spend their first few weeks outside of the womb disoriented and overstimulated, and this security pillow helps ease the transition. Cradling a child in a topponcino maintains consistent warmth, texture, and smell when passed from person to person, or from a person to a surface. Parents quickly find that using a topponchino helps their newborn feel comfortable and secure. Don't forget to include a few washable covers. A play mat is a comfortable, safe space for a child to spend time when she is feeling rested and content. A thin crib mattress works for this (and doubles as a floor bed), but our favorite play mat is a lambskin. Newborns can't see very clearly or very far, so they tend to find high-contrast black and white images interesting. These art cards are a good choice for hanging next to a play mat. A wall mirror is a recommended Montessori material for a child's space from infancy onward. It's typically hung horizontally at the child's level on the wall next to the play mat. An unbreakable acrylic mirror sheet is the best choice for this, since it's impossible to shatter or chip. A diaper bag is a useful "grab and go" baby accessory. We prefer a gender neutral design that isn't obviously a diaper bag. 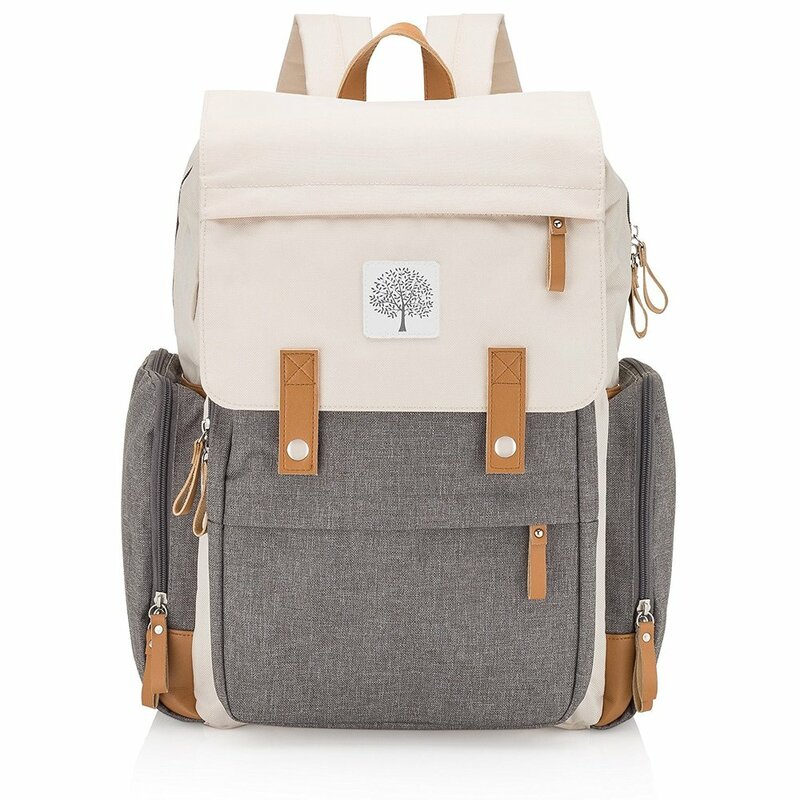 This canvas backpack is a good choice with an included diaper bag, bottle pouches, and lots of easily accessible storage. This travel pouch folds out into a changing pad with one hand, and has space for a few diapers, wipes, hand sanitizer, and a tube of cream. Useful for containing wet cloth diapers or soiled clothes, dry bags are worth keeping around for life's little mishaps. A onesie is the go-to base layer for babies. The simple shirt with a snapped bottom allows for comfortable, free movement. Avoid any clothing with functional buttons (more difficult to put and take off) or potentially scratchy materials. 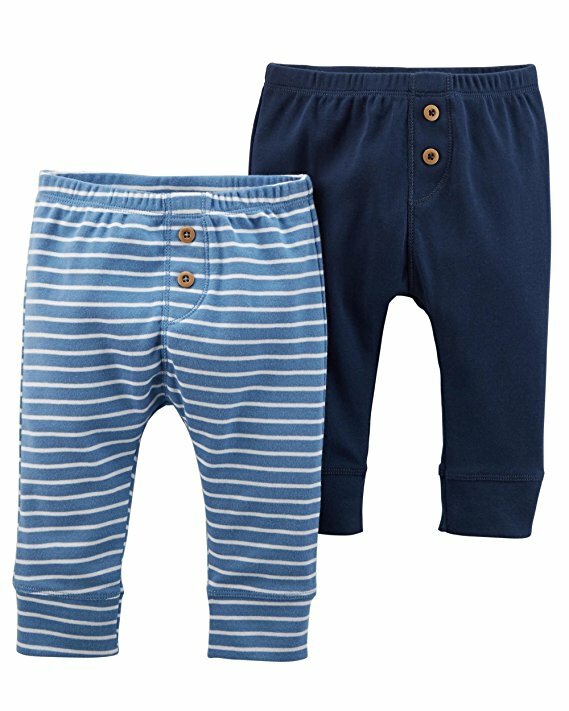 A great choice for all-day wear until a baby starts to roll over. Once babies start to move around, they need time with bare feet to develop muscle coordination. But footie pajamas are still good for sleeping at later ages. A great choice for mobile babies to give them opportunities to practice using their feet. These are easy pull-on/pull off pants—the buttons are just for show. Leg warmers are incredibly convenient for frequent diaper changes, since they're one less thing to take off. A onesie with leg warmers is a great outfit for mobile a mobile baby, since it protects her knees without covering her feet. Babies need protection from the sun, and a hat is far more convenient than constantly applying sunscreen. This sun hat has a nice wide brim, and is adjustable through a wide range of sizes. A play yard is more of a RIE material than a Montessori material, but it offers a practical solution for creating a clean, safe space for a child to move around and explore. This collapsible play hard with a bottom is a great option for parents to take to an outdoor space. A portable water-resistant blanket is handy for creating a clean, comfortable space on the floor or on the grass. 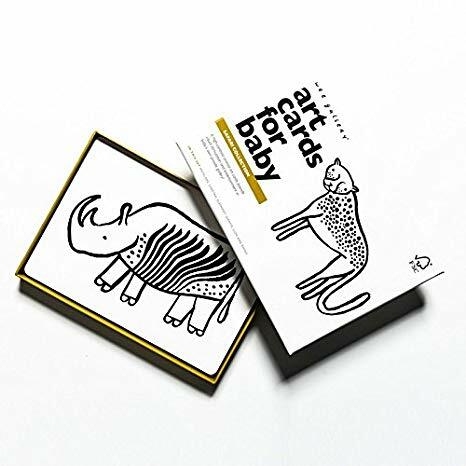 If you're looking for a baby shower gift, you can also consider gifts from the three to six month, and six to twelve month stage. They might not be able to use your gift right away, but they will soon enough.